Watch this short video promoting the sixteenth edition of Social policy in the European Union: State of Play, in which I have a major chapter. The book has a triple ambition. First, it provides easily accessible information to a wide audience about recent developments in both EU and domestic social policymaking. Second, the volume provides a more analytical reading, embedding the key developments of the year 2014 in the most recent academic discourses. Third, the forward-looking perspective of the book aims to provide stakeholders and policymakers with specific tools that allow them to discern new opportunities to influence policymaking. In this 2015 edition of Social policy in the European Union: state of play, the authors tackle the topics of the state of EU politics after the parliamentary elections, the socialisation of the European Semester, methods of political protest, the Juncker investment plan, the EU’s contradictory education investment, the EU’s contested influence on national healthcare reforms, and the neoliberal Trojan Horse of the Transatlantic Trade and Investment Partnership (TTIP). Vivien Schmidt spoke recently at State of Play 2015, a daylong conference highlighting the state of social policy in the European Union held on Sept. 23 at the headquarters of the European Economic and Social Committee in Brussels, Belgium. The conference was held to commemorate the publication of the 16th edition of “Social Policy in the European Union,” the flagship publication of the European Trade Union Institute. Other attendees at the State of Plat 2015 conference included EU labor leaders, European academics, and trade organizations. 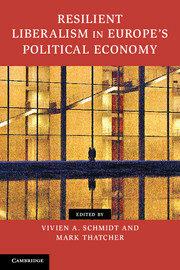 The 2015 edition of “Social Policy in the European Union” tackles the topics of the state of EU politics after the parliamentary elections, the socialisation of the European Semester, methods of political protest, the Juncker investment plan, the EU’s contradictory education investment, the EU’s contested influence on national healthcare reforms, and the neoliberal Trojan Horse of the Transatlantic Trade and Investment Partnership (TTIP).